Many thanks to The Patriot Post for publishing my commentary on the prospects for an Article Five Convention of the States, and the advantages of the alternative Amendment Amendment. Finally, this is not an exclusive “either-one-or-the-other” proposition. Constitutional conservatives can push for both an Article Five convention and Article Five reform simultaneously. In fact, given the daunting arithmetic facing a convention call, it would be strategically wise to pursue an alternative in parallel with the elusive quest for 34 states to call a convention. We are all suffering under a massive centralized leviathan which has utterly betrayed the Framers’ original vision of a limited federal republic. 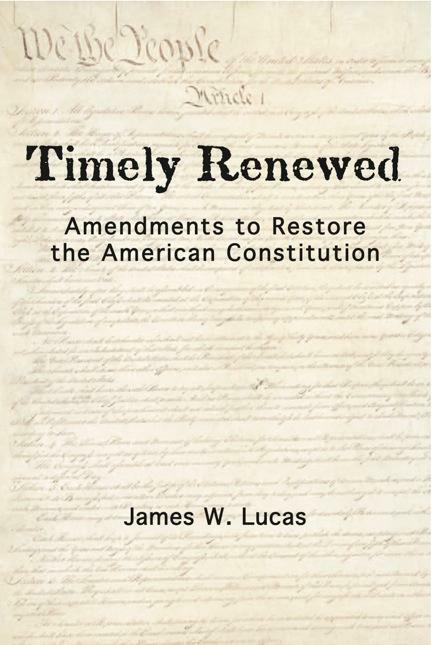 The Framers created the amendment power in part to give the people a means to prevent that. We should use every tool possible as soon as possible to carry out that mission.